Over the course of his two terms in office, President George W. Bush has taken a lot of mostly justified flak from environmentalists. But there's one area where Bush can legitimately claim a deep-green legacy: the oft overlooked field of ocean conservation. The three marine monuments will include the northern Marianas Islands and the Mariana Trench (the deepest point in the world), the Rose Atoll near American Samoa and several remote islands in the middle of the Pacific, including Wake Island. The monuments will be declared protected under the Antiquities Act, a 1906 law that gives the President the authority to restrict the use of public land owned by the Federal Government via executive order without consulting Congress. Initially designed to protect prehistoric Indian ruins in the American West from grave robbers, the law has been used more recently as a way to fast-track protection of areas without the lengthy Congressional process of creating a new national park. "This will protect some of the nation's and the world's most pristine resources," says James Connaughton, chairman of the White House Council on Environmental Quality. The new marine monuments will comprise the ocean waters within a 50-nautical-mile radius of the protected islands and will safeguard virtually the whole of the Mariana Trench. 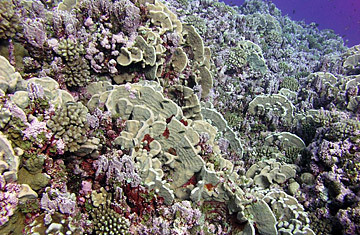 Commercial fishing will be banned within the monuments, and mining, oil exploration and other commercial activity will be limited. (Sportfishing and other boating may be allowed within the region, but only on a permitted basis.) Those protections will shield the rich, pristine marine life found among the coral reefs of the central Pacific, which includes hundreds of species of rare birds and fish. Though most of the monument areas are so remote that they are relatively untouched right now, environmentalists say establishing protection today sends the right signal for the future. "It's always easier to protect areas that aren't under a current threat," says Joshua Reichert, managing director of the Pew Environment Group. "Once they're explored by industry, it's going to be too late." For ocean lovers, Bush's decision is a long overdue recognition that the seas are just as deserving of conservation as the land is. But while the U.S. has been establishing national parks for more than 130 years (beginning with Yellowstone National Park in 1872), we're only just now moving to protect the ocean and the multitude of life that depends on it. "We're more than a hundred years behind terrestrial conservation," says Nelson. And there's still a lot of ground to make up. A study by the International Union for the Conservation of Nature estimated that less than 0.1% of the world's ocean territory is protected in some fashion  even as the ocean comes under increasing threat from overfishing, acidification and global warming. Bush's monuments will go a long way toward closing that gap, though their success will depend on how well the protections work. The Papahanaumokuakea Marine National Monument officially bans any material that might damage corals or sea life, but ocean currents still sweep 57 tons of garbage a year into the protected area  and cleanup efforts, hampered by budget reductions, can't keep pace. And the sheer isolation of the central Pacific monuments, which helps shield them from pollution, makes policing the waters even more difficult and costly. "Actually following through on this will be a real issue," says Diane Regas, managing director of the oceans program at the Environmental Defense Fund. But, for now, ocean advocates are just happy that in one of his last acts as President, Bush has finally gone green  for the deep blue. See pictures of America underwater.